2-in 1 item is a 30-mil. magnet and, 12-sheet calendar combined into one! Calendar date pad exactly as shown. 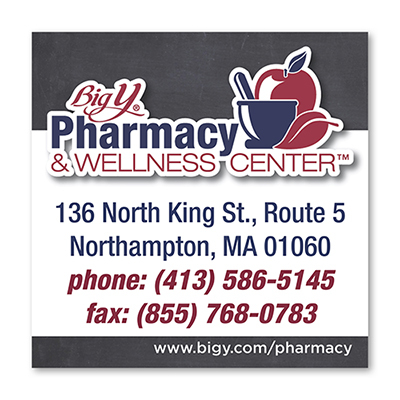 The custom Business Card Magnet with Calendar is an effective way to communicate to your target audience. It provides ample space for noting down ‘to do lists’ and appointments. 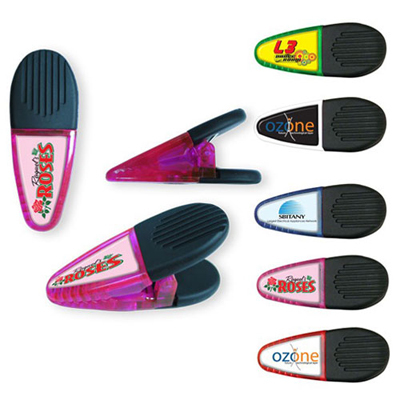 Your logo and business message will gain lasting visibility throughout the year. These stickup calendars can be handed out to clients at trade shows. Stay in touch with us place an order. 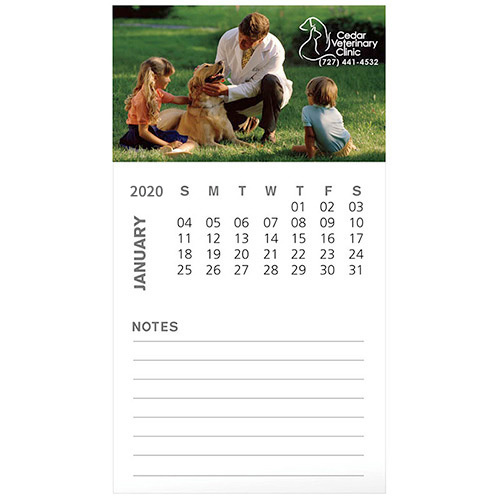 "We have frequently ordered magnetic calendars online. But this is the first time we have ever bought from Promo Direct. The experience has been good and we are pleased with the product's quality. " 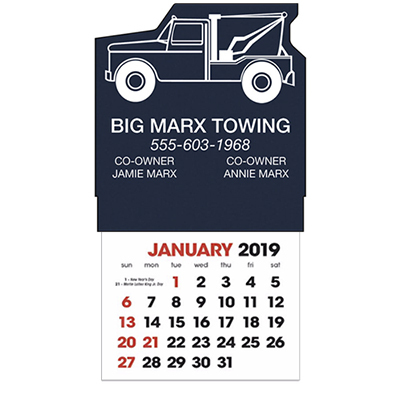 Impress your customers with this stickup calendar.